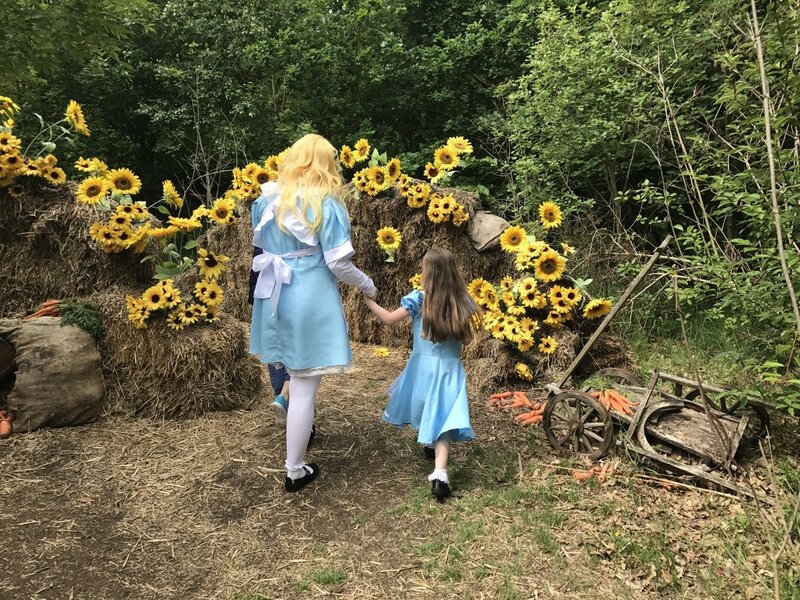 Sometimes it’s nice to disappear down the rabbit hole and away from reality. 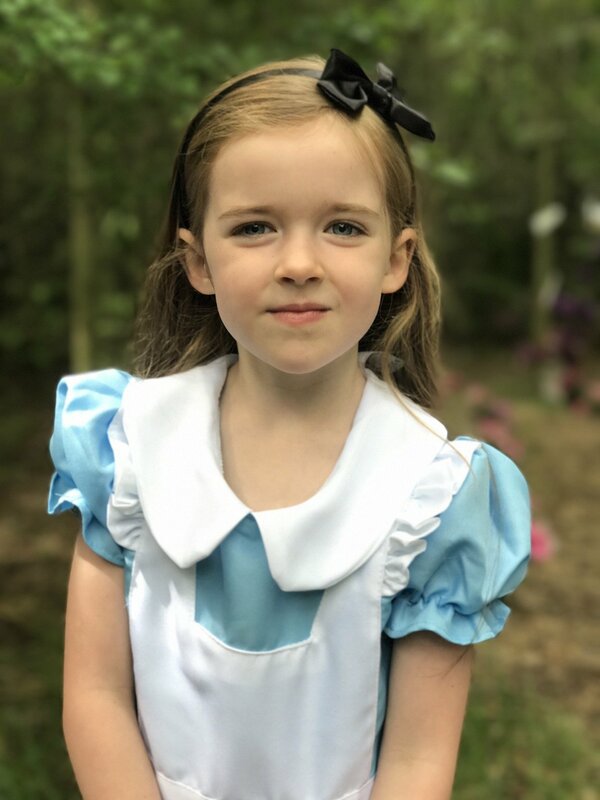 What better way than getting away from it all by having a morning with Alice in wonderland. 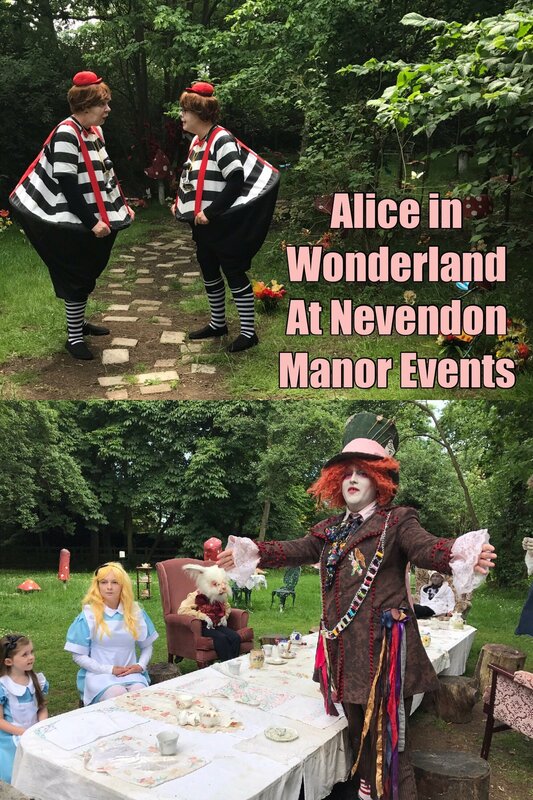 Nevendon Manor Events in Wickford, Essex organise really amazing events. They normally have them running during the school holidays and are themed. You can purchase time slot tickets several months in advance. Tickets cost on this occasion £14.30 per person. This was actually my third time attending one of their events. 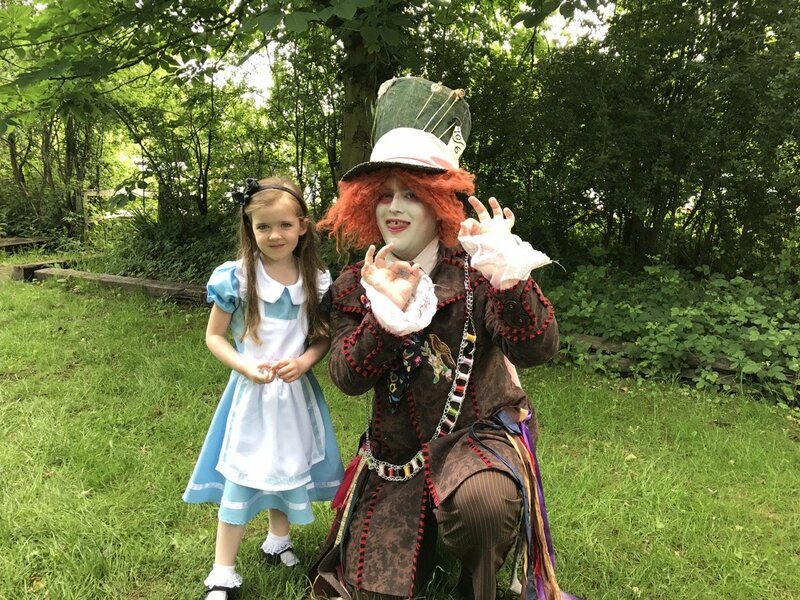 We have previously attended both Willy Wonka and the Wizard of Oz themed events. 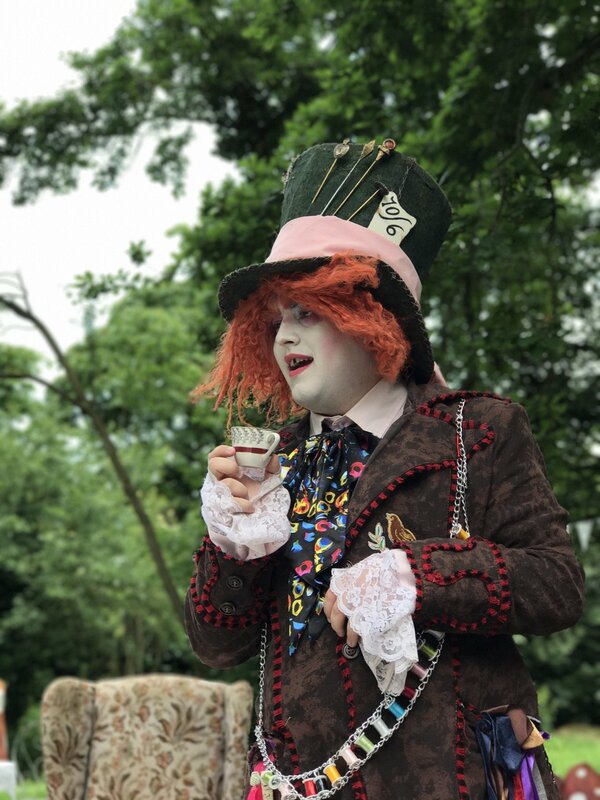 Both were so good that I knew the Alice In Wonderland themed ‘Hatter’s Wonderland’ wouldn’t disappoint! I can only describe the events as emersing yourself in a live action theatre production. 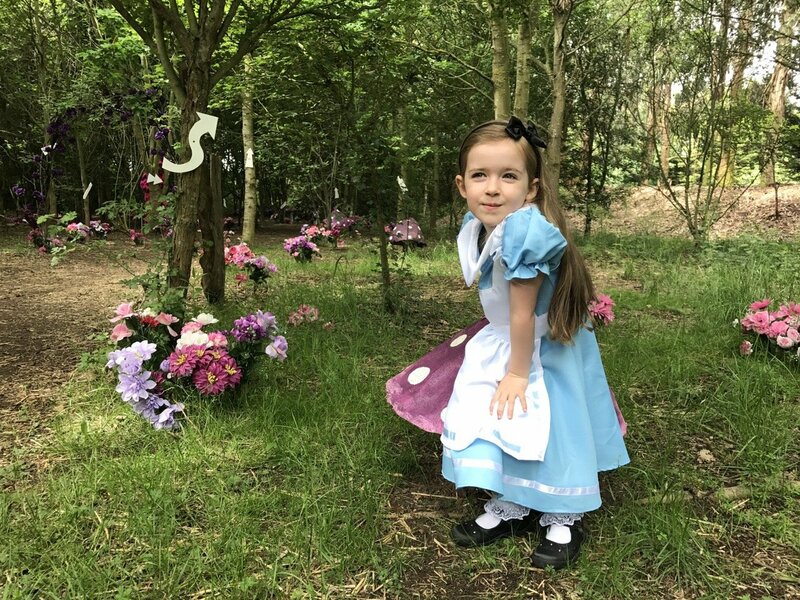 For Eden, being 4 years old, this is truly a magical experience. Like the most amazing role play game where everyone is dressed up and playing along with her. 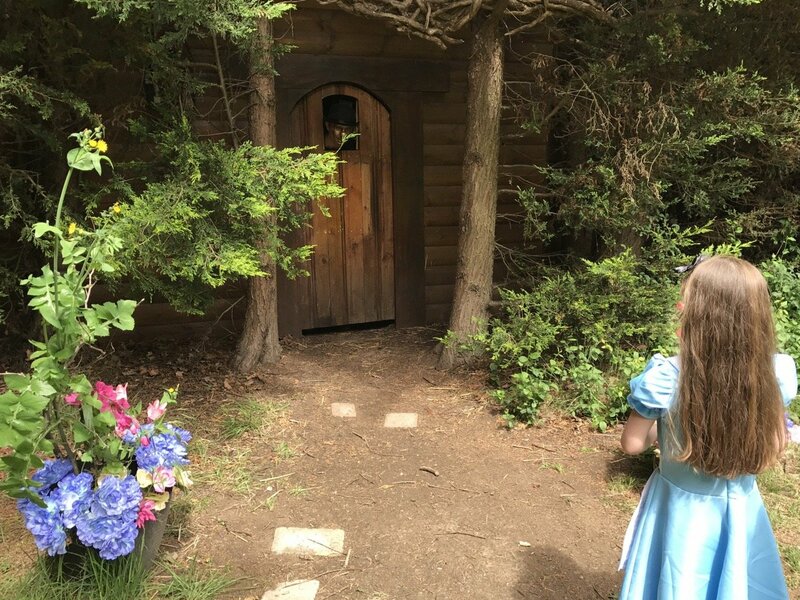 During the 1 hour duration it takes to walk round the grounds, Eden is transported into a fantasy world that she really believes is real. 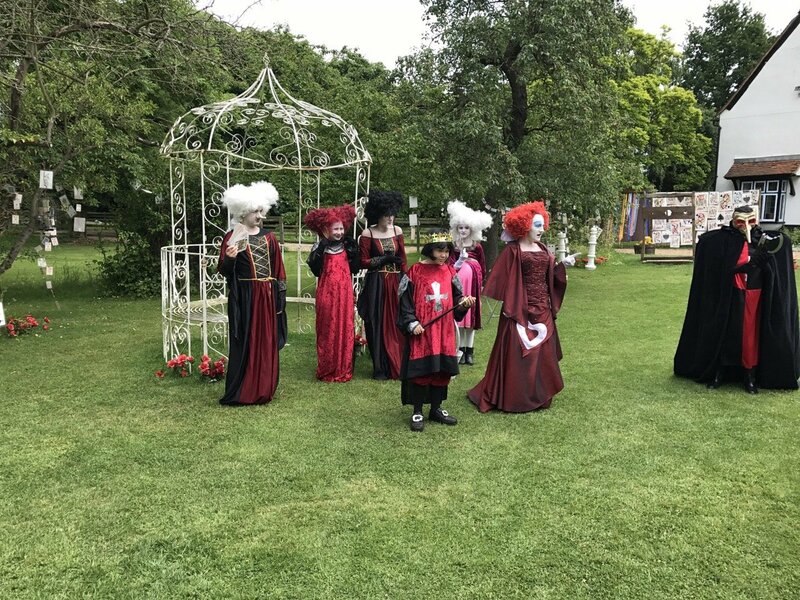 The grounds are always decorated so beautifully, truly theming it to the event. Today the garden was dotted with toadstools and flowers as you walked between the areas. 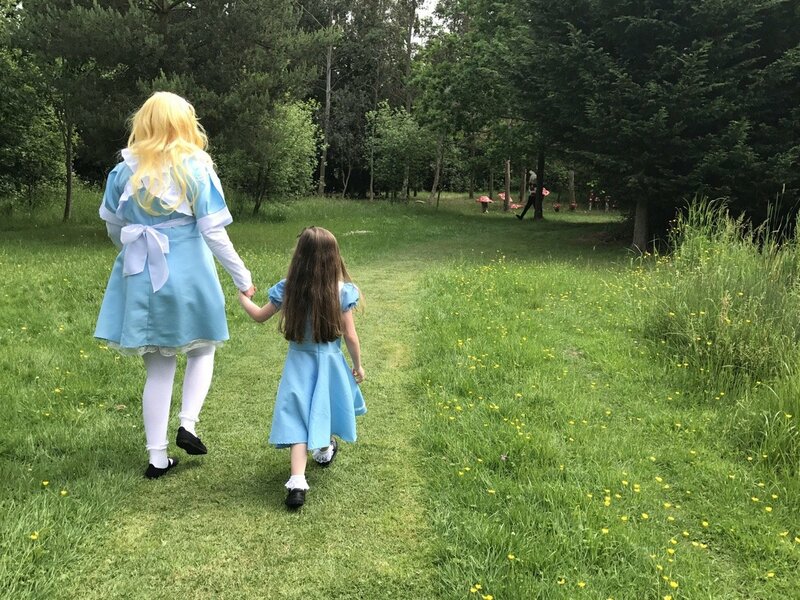 We were lead around the grounds by Alice as we followed her on her adventure through Wonderland. 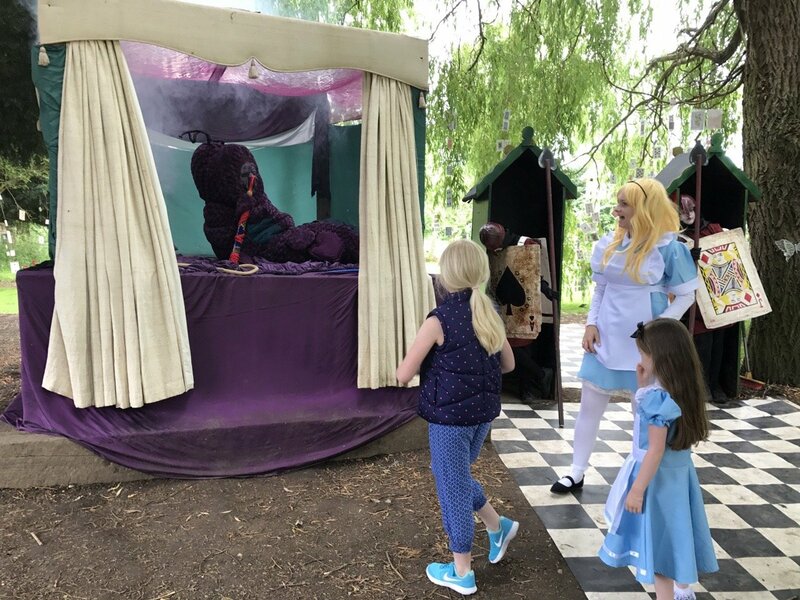 Each area had a new character to meet from the story, the white rabbit, the Cheshire Cat, the Caterpillar, Tweedle Dee and Tweedle Dum, the Mad Hatter and my personal favourite, the Red Queen! 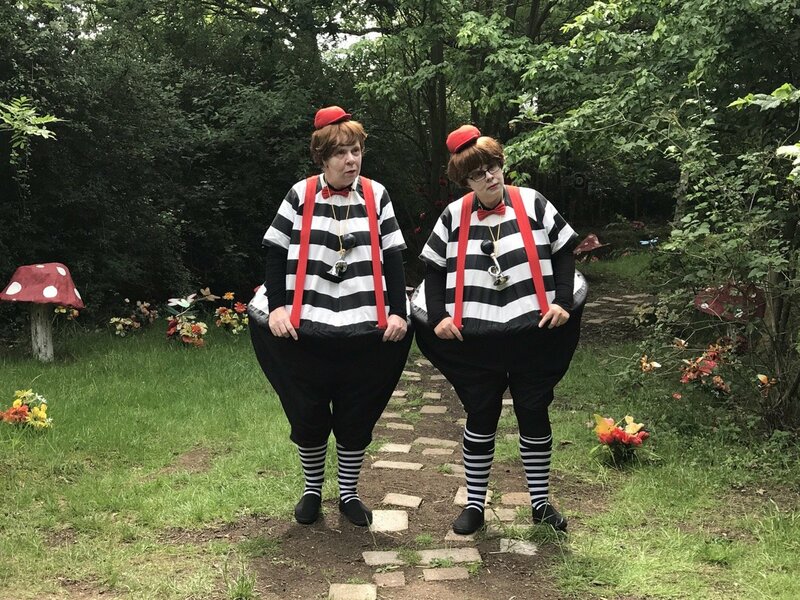 She accused me of eating her jam tarts and ordered the executioner to chop off my head, luckily Alice and the children saved me. It was all so much fun! 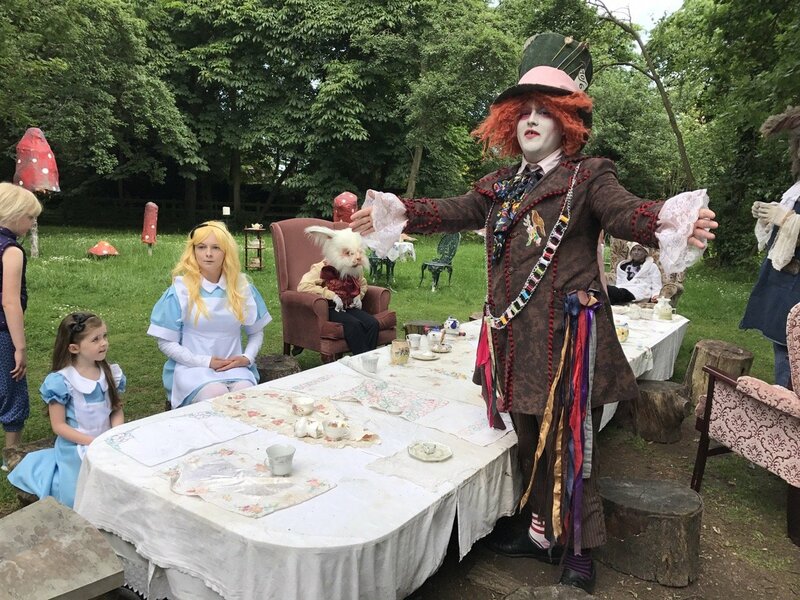 The actors and actresses are all really professional, never breaking character and interacting so well with the children. Many of them children themselves. It was such a magical experience. We look forward to going to more events with them! 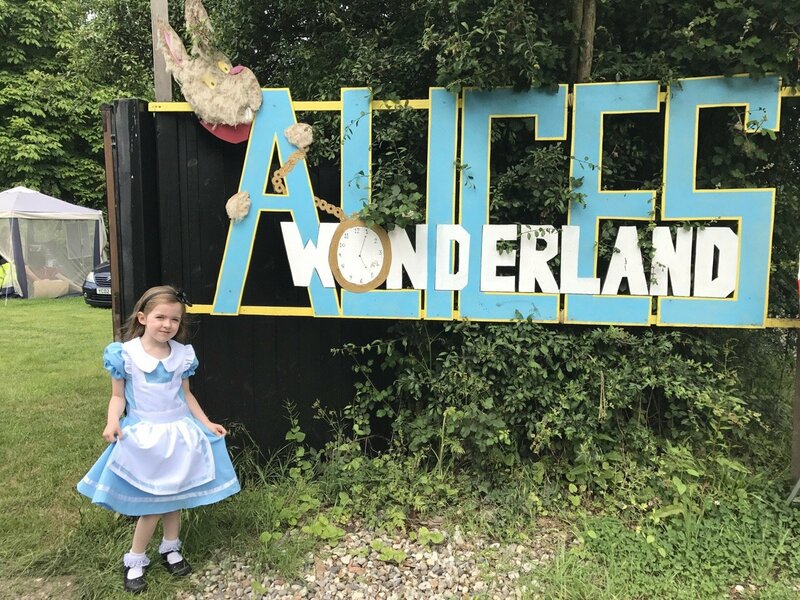 Would recommend popping it on your list of things to do, especially if you’re a fan of Alice! 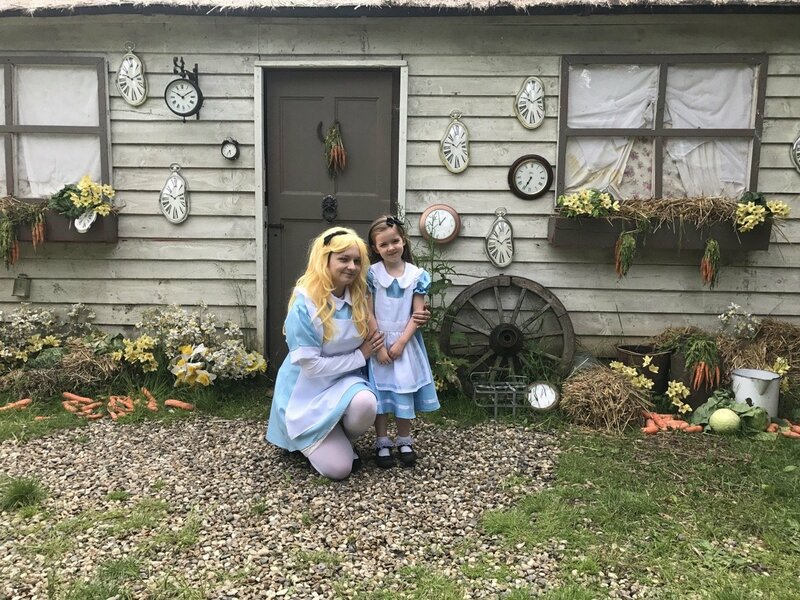 Thank you for reading A Morning in Wonderland, for more information pop over to Nevendon Manor Events! Bless her, what a great day out for her!! Love finding days out that are a bit different.